Imagine Spa offers a full menu of professional services performed by a certified Nail Technician/Esthetician. Eyelashes by Erica - Call us today! SANDSTONE AESTHETICS NAIL SPA IS A NEW KIND OF AESTHETICS SALON, LOCATED IN BRANTFORD, ONTARIO. 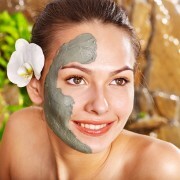 We are a Boutique and Spa specializing in providing one on one service and Organic Beauty products. Come Create A Beautiful Day with us. Manicures, Pedicures and Waxing. Fully insured. Certified Nail Technician. Annually inspected by Brant county Health Unit. HOMEMADE SOAP AND BATH PRODUCTS!